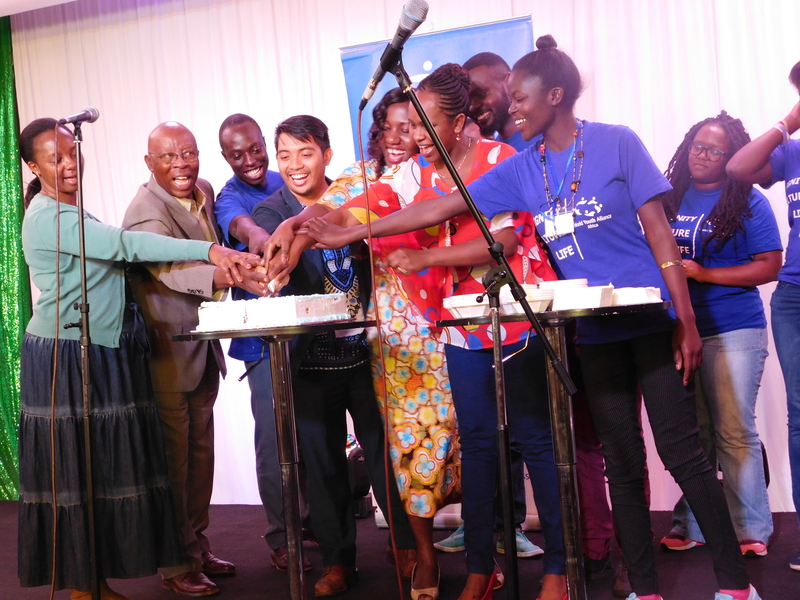 August 14 – 27, 2018 – WYA President Lord Leomer Pomperada led the 15th anniversary celebration of WYA Africa through a series of member, alumni, and partner activities. This included a Fundraising Dinner, Certified Training Program Training of Trainers program, and Africa Arts Forum. WYA Africa alumni, members, friends, and partners gathered in Nairobi, Kenya for the World Youth Alliance Africa 15th Anniversary Fundraising Dinner. Former staff members and friends shared their unforgettable memories, hopes, and dreams when they were just opening the WYA Africa office. The current staff members and the WYA President also gave some messages and words of thanks including a moving speech from WYA CEO, Anna Halpine. The Certified Training Program Training of Trainers Program was also launched in Nairobi with 10 participants from Congo DRC, Kenya, South Sudan, and Uganda. “We (are) thankful to WYA for thinking of innovative ways on how to engage the alumni even after they have completed the training. 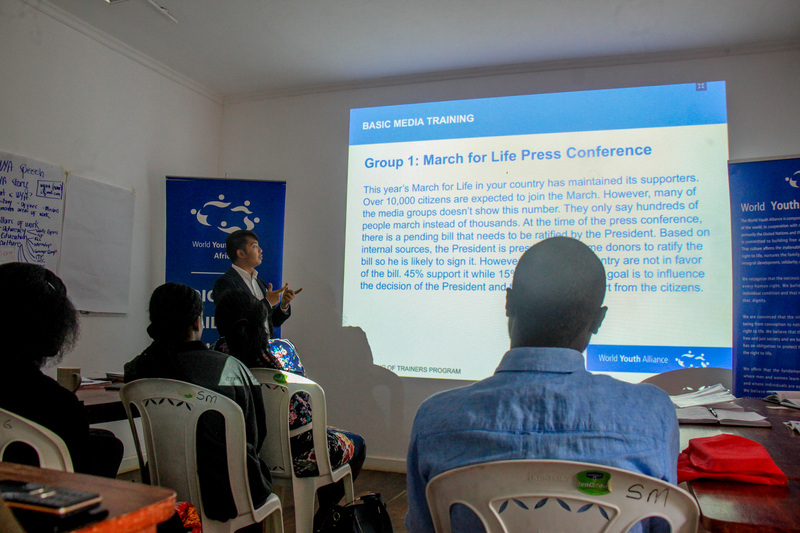 I’m excited to be part of the TOT and to support WYA’s growth in the region,” one Kenyan participant, shared. 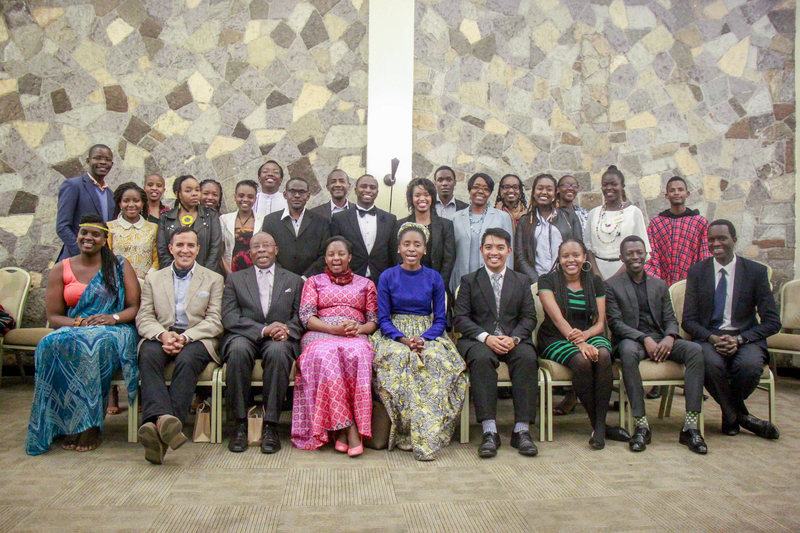 To strengthen the initiative to train African law students on policies and programs that promote the dignity of the person, agreements were reviewed with the law schools at Strathmore University, Africa Nazarene University, and Jomo Kenyatta University of Agriculture and Technology while a new collaboration/agreement was inked with Kabarak University Law School. This includes sending outstanding law students to the WYA advocacy internship in New York and organizing certain activities together such as the Africa Emerging Leaders Conference and Dignity Forum. “These collaborative programs will help us in building the society and region that promotes life from conception through natural death at all levels,” WYA Africa Director Patricia Gwambo shared. The WYA President also met with school officials and youth community leaders in Uganda and Rwanda to promote WYA programs and to strengthen the WYA National Committees in these countries. “WYA is growing rapidly in the Africa region. WYA Africa has the highest enrollment rate for WYA’s training program in the world. This shows a strong commitment of our African members to promote the dignity of the person in their professional and personal lives,” WYA President Lord Pomperada, said in a talk. 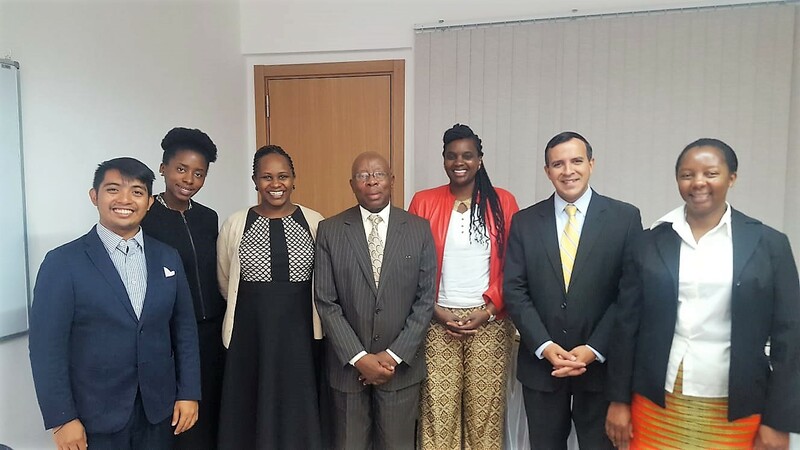 To further grow WYA’s affiliate women’s health program FEMM (Fertility Education and Medical Management), the WYA President and WYA Africa team also met with the core group of doctors that WYA is working with to bring the program to the region. Currently, FEMM has trained doctors in Nigeria and Kenya. If you’d like to learn more about the program and be connected to the team, click here. The celebration concluded with the 5th WYA Africa Arts Forum. The activity included presentations and performances from various artists including painters, singers, dancers, and spoken word. Kenyan singer-songwriter Wahu Kagwi, famously known as Wahu, also inspired the attendees and artists to continually strive for excellence and to use their talents for the common good. WYA Africa humbly expresses its gratitude to all of its members, alumni, partners, advisors, and sponsors for their support in all of the anniversary activities and for their continued support to WYA’s work and mission. WYA Africa invites you to join the WYAA 15 Barbecue on December 15 (Saturday) as to close the year in celebration.